Today I'm going to talk about the importance of losing. I'm going to start off with a quite by John Wooden, the famous college basketball coach. Wooden said the only thing worse than losing too much is winning too much. Wooden had undefeated teams and he said they couldn't play their best basketball during the season because they felt pressure to continue to win and keep their streak alive. Most people hate losing and this is why some people stop competing altogether. But avoiding competition isn't a solution, it's simply avoiding the issue. We think that losing is like failing and nobody wants to be not good enough. Staying confident and positive regardless of the outcome is one of the hardest things to accept in competition, but is an essential skill of top players. Winning and losing has such a major influence on our self-efficacy. When we win we feel good about ourselves, we lose we think we played awful and sulk. But someone always loses in competition; it's part of sport and is what makes it so exciting to play and watch. This is why it is important you play against a variety of opponents; some that are a bit weaker than you, some at your level and other a bit better. I've always felt that I learned more from my loses. I thought about them more and they made me train and prepare better for future competitions. If you win all of the time you aren't playing against a high enough caliber of competition and you are failing to test yourself. If this is what you are doing you are holding yourself back from your true potential. You may become complacent with your current training routine and don't feel motivated to do more and try new things until you are pushed to do so. The one area I get worried about is when people become complacent with losing. Some people lose too much and instead of fighting harder they are broken and are used to wilting when the going gets tough. This is a learned behaviour pattern is more psychological than physical. Learning to break out of this takes time and a change in your thinking. Here you could try setting small goals such as starting strong (e.g., being the first to get to 5 points), trying to win 2 rallies in a row late in a game, winning 1 game, focusing on your shot selection. You also will need to learn how to change your thinking patterns. If you've lost too much you automatically think negatively when you see yourself in a similar predicament in the future. You need to recognize this and understand that history doesn't always repeat itself, you can do this, you need to believe in yourself and come up with something positive to say to yourself. Learn to dig deeper when things seem the bleakest and anything can happen. I already talked about how losing keeps you motivated to work harder and try new things. We may try and avoid playing stronger competitors because we don't feel ready to compete with them yet. You need to be brave enough to get out on court with a stronger opponent and learn from it. Don't take the results personally. In my opinion this is basically like getting a free lesson. The best players in the world have also lost the most. In squash it can be pretty psychologically damaging if you play someone a few levels higher than you. They can probably make quick work of you if they wish. This can be a tough pill to swallow especially for young kids. It takes a long time to jump up a number of levels, so be patient and persistent. You will get there if you believe and keep up the hard work. When we come up against a much stronger opponent the goal should be to make them work as hard as possible and give 100% effort. You never know what can happen. Also in future rematches they will respect your game and your effort and will expect a battle because of your previous effort. It also never hurts to ask them afterwards for some tips. Most good squash players are happy to give some tips afterwards. They likely have a better sense of what just happened on court and can offer you some excellent feedback. I always like people that aren't afraid of getting on court with stronger players, they enjoy the challenge like a puzzle that simply takes time to figure out the solution. You'll never figure out the puzzle by avoiding it. So why else is winning too much no good for you? I feel one of the most important reasons is because we focus too much on immediate results and avoid trying new things that could have long terms gains for our game. This could happen in a number of different ways. Maybe you revert back to old habits and shots because they work and give you the desired result and you are comfortable doing this. But this is actually making it more challenging for you to reach your long term potential and goals. I enjoy trying to play new shots and a variety of shot combinations. This may come at the expense of a few more mistakes and maybe losing today, but can make a big impact on your long term development. Try and see your mistakes as a sign of learning and development and don't dwell on them. If you're not making any errors you're playing too safe. I should also add that on the flip side of the coin, we can focus too much on long term goals and not put in our top effort to win today. I remember playing matches and thinking during them, well if I don't get this one I will one day down the road. You should be focusing on winning that match as well as keeping your long term development and goals in mind. This balance is what is so delicate and critical to being successful today and down the road. Regardless of the result, ask yourself afterwards some tough questions and continue learning and improving. There's always a best player in a club. If that person is much stronger than any other member they will have to look outside of the club to get tough matches. That is if this person still wants to see how much better they can get. I've been the best player at a few different clubs over the years. I got pretty creative to make it more challenging. I tried playing matches where my opponents point total tallied over from game to game and I tried winning 3 games before they won 1 game. I also enjoy playing matches where you put restrictions on yourself or playing someone after a tough training session. Sometimes I would do 10 court sprints after my opponent gets a multiple of 3 points. Of course you want to make sure you do this with someone who understands what you two are doing, like a sparring partner. Doing something like this in a regular league game will just make you seem like a jerk. Seek someone who is keen to train and is close to your level and is pretty fit. You can also try and set up back to back matches. Although I'm sure some of these things helped me, they were no replacement for playing someone at or above your level. The pace and duration of the rallies is much different and very tough to replicate. If at all possible, find someone that can push you and hopefully someone where the result is uncertain. Losing is a tough pill to swallow but is part of becoming a champion. If top athletes couldn't handle losing they wouldn't compete with stronger opponents and would not have become so great. Be creative and try new shots. I always applaud good shot selections regardless of the result. Learn to be content with making good choices or trying a sneaky shot even if they don't work out this time. Otherwise you will just keep playing the same style with modest increments in accuracy over time. When you see someone creative or a top player play you realize there are so many things you can do and ways to win points. It doesn't have to just be by hitting good length and waiting for an error or very loose ball. You can also force the action, but this territory will come with plenty of mistakes as you learn how to execute them properly and when to play them. I want to finish off this subject explaining another reason why healthy competition is so invaluable. If you win, but are not challenged, the win isn't very meaningful. If you win all of the time the wins also diminish in value. But if you win only once in a while and it's against tough competition you will have really tested yourself and they will hold more meaning to you. You have to be willing to put yourself on court with people of equal or sightly higher standards to get that sense of accomplishment. And even if you don't win this time around you will have learned more than sandbagging and winning with ease in a lower level. Although this can go both ways, where people perceive themselves as stronger players or don't want to risk losing to people that they believe are not at their level. This is why I like the U.S. ranking points system, you automatically are entered in the appropriate point level when you enter an event and have to have results to move up a division. Have fun with your squash. Always play to win, but don't concentrate solely on the outcomes. If Ramy had done that as a child he never would have come up with such a masterful attacking repertoire. High risk shots can become consistent breathtaking shots with plenty of practice and patience. Play to win, not to not lose. You must make countless mistakes and lose to a lot of people along the way if you truly want to become the best that you can possibly be and a great champion. Well I'm back again after a pretty long absence. But it has been a very busy time of year for me, but enough of the excuses. Let's get on to today's discussion. Today I'm going to talk about the overall style and game that I saw at the Junior Nationals last weekend in Calgary. There are some incredibly fit and athletic squash players out there. Much more athletic than I ever was. Overall I think most of the kids handled the altitude and the bouncy ball pretty well. When I hit with some of my kids I noticed right away the need to shorten your backswing and have your racquet set early. The ball just got on you faster than it would at our home club. If a kid had good racquet prep they managed the bounce fine, but if they were late they would spray the ball out loose. I felt that the bouncier courts magnify technical or tactical deficiencies. If you had late racquet prep you really paid the price; also if you had a poor short game you had pretty much no short game on these courts. Certainly a hug advantage for technically superior kids and for those from Calgary. With such a bouncy ball one area that could have been used better is deception. It's so easy to hold and flick the ball when it's fast. This is one area that I thought really lacked overall. This is how you make the court play bigger and tire out even a strong fit pair of legs. Another area that I felt was absent was the finishing shots. Of course with a bouncy ball this is difficult. In general I thought most kids were scared to go for it when they had an opening. They may go short, but would give a lot of margin and used their short game as shots to move their opponent around. But of course this is what the Canadian Coaching books tell us. We don't go for winners, we hit pressuring attacking shots. If a talented player works at it they can hit outright winners when they get the openings. I know this is difficult to do with a bouncy ball if the kids aren't used t it. But all the kids are fit and fast. If you get an opening and you're an attacking player you should go for it. Too often I saw a kid just hit it to the back again. Guess this is why our kids are so fit; they can't end a rally. It made me think about what some Egyptian kids would do with similar loose balls and it was clear to know what was missing. In general our kids are technically strong and good athletes, but when you get to a certain level everyone is. For me the problem is that we (coaches, parents and the kids) don't accept short term mistakes for long term gain. We see someone hit the tin and we shake our heads and ask them 'what were you thinking?' No wonder they end up just hitting length. A lot of time I also feel that the style of the coach is inherited by the athlete. Some of the coaches played when the game was different, mainly the scoring and equipment. I think the best coaches have to be open minded to how each kids enjoys and wants to play. Obviously we want them to be successful, but more importantly we want them to become the best they can possibly be. If you are an attacking player, practice your drops, nicks and overall attacking game. When you get a loose ball in your matches you won't hesitate to go short, you will just slot it in. I know length if the base of the game, but there is a lot more to it. It will be interesting to see how the game evolves over the coming years and if any kids will step up and change the way junior squash is played in Canada by becoming more deceptive and attacking. You see it occasionally from the young kids, but that gets coached out of them as they make too many mistakes. How many tins do you think Ramy has hit in his life? That's why he has such an amazing shot game. Just like how Kobe has missed the most shots in the history of the NBA. But every shot he takes he fully believes is going in and he never stops shooting. If you want to as well spend the hours and hours each week required to add this part to your game. Try practicing with a ball machine or a bouncy ball so the ball stays warm. It's much more difficult to take the ball in short when it's hot and lively. Play aggressive, play to win and hit some winners! What did you learn from the Junior Nationals? Does the style of play and coaching fit the low goals that most players set? The club had profiles of many of the top athletes posted and many just want to make a varsity team. One coach I talked to there thought so and asked where all the kids were that wanted to become world champions. Looks like Canada is poised for a future of mediocre National Senior Teams. All it takes is a one to prove me wrong and I indeed hope someone does! It's hard to believe it's been over a month since my last post. I have been quite busy preparing for and then running 2 weeks of spring break junior camps. Canadian Junior Nationals are in a week and a half and some of the kids in the camps were preparing for this event. The first camp I ran was for intermediate competitive juniors and was only half days. The 2nd week was full days and for advanced competitive juniors. In the advanced camp this year I decided to include something a little different. My friend opened the Victoria Float House (www.floathousevictoria.com) almost 1 year ago and is also a good squash player. He grew up playing competitively and understands the importance of the mental game in squash. I feel it can be challenging working with a group of kids and implementing imagery into practice, so for the camp I decided to book each kid a float and recorded an audio track to guide them through some challenging situations that may occur at Nationals. 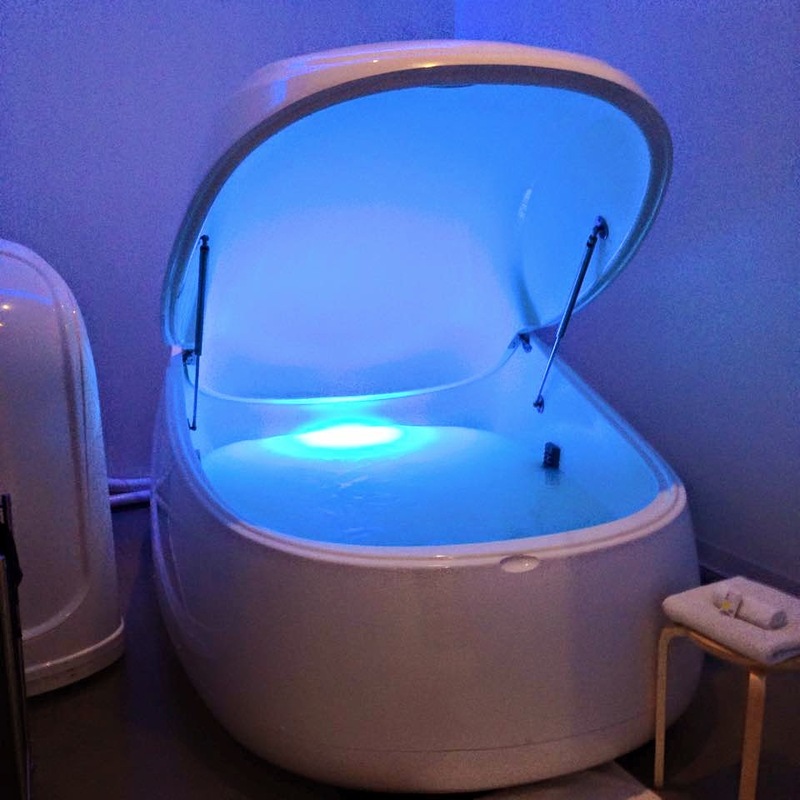 Here is a picture of one of the float tanks. You can turn the light off when you get in the tank. But only a few kids said they turned the lights off. You can see from the image below that my friend who recorded the audio track and used to be in the video and editing business and produced a high quality recording. At the beginning of the track we went through some standard relaxation techniques to help the child get comfortable and focus on taking slow, deep breaths. I wrote a 4 page script (below) that we recorded. In behind the recording my friend included some soft music and sounds (birds chirping) to make the track less startling after having a few pauses. 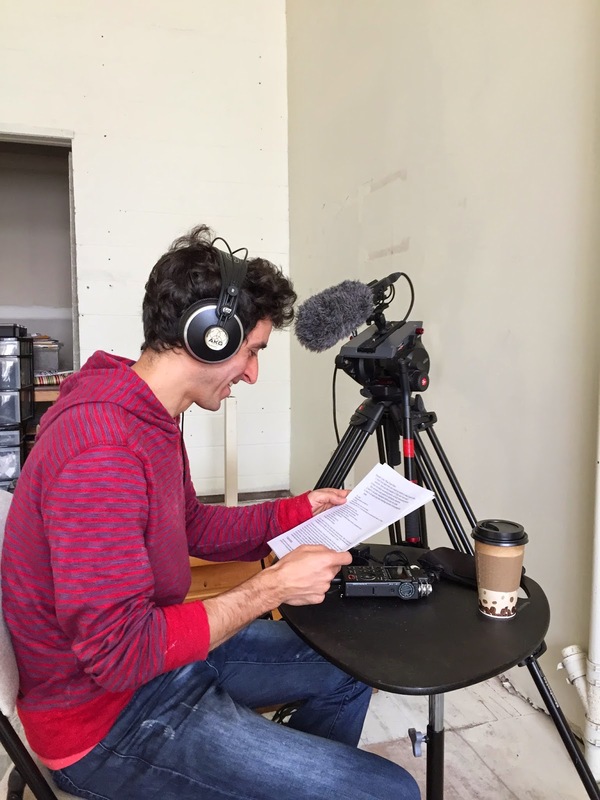 The pauses in the recording were for the kids to finish off visualizing the completion of a situation we set up for them. We did the floats on Thursday of the camp. Up to this point in the week we talked about staying positive, refocusing, deep breathing and imagery so they were prepared for the floats. The first thing I had the kids visualize was preparing for their match. I asked them what they were wearing, what song they were listening to and they asked that they complete their warm up routine in their mind. After a 5 minutes of silence where they envision their warm up routine they are now about to step on court. We guide them through the warm up and the first couple of points. We then ask them to complete the game, shot by shot, including their routine between rallies. This was their first situation. The 2nd challenging situation was they were up 10-5 and let the lead slide to 10 all. I ask them to imagine how they were feeling and how they would respond. How course nobody wants to be in this situation and let a big lead slip away. But it happens to everyone from time to time. So how you respond in these situations is what I wanted to find out. I asked the kids to visualize the completion of this game. The 3rd situation I had them down 7 love in a game and asked how they would feel. Would they start worrying about getting bagled or would they be able to stay calm, positive and visualize themselves responding positively. The final challenging situation was in the finals. They were up 2 games to love against a top ranked player and lost the next 2 games. It was then 9 all in the 5th. They get a questionable stroke decision awarded against them. How do they respond from this situation down match ball? The 1st situation I presented was a positive one and the other 3 were challenging situations. I thought about including more positive and winning situations. I think this could help confidence and may allow them to be more successful. But I think it's much easier to handle winning situations with a clear mind than it is a challenging one. We all look to make excuses when things don't go our way. But these excuses are simply psychological. If we dwell on them they will become factual, so I don't like hiding from them. Embrace these instances simply as challenges, and see if you can overcome them. When you can do this it is extremely satisfying. 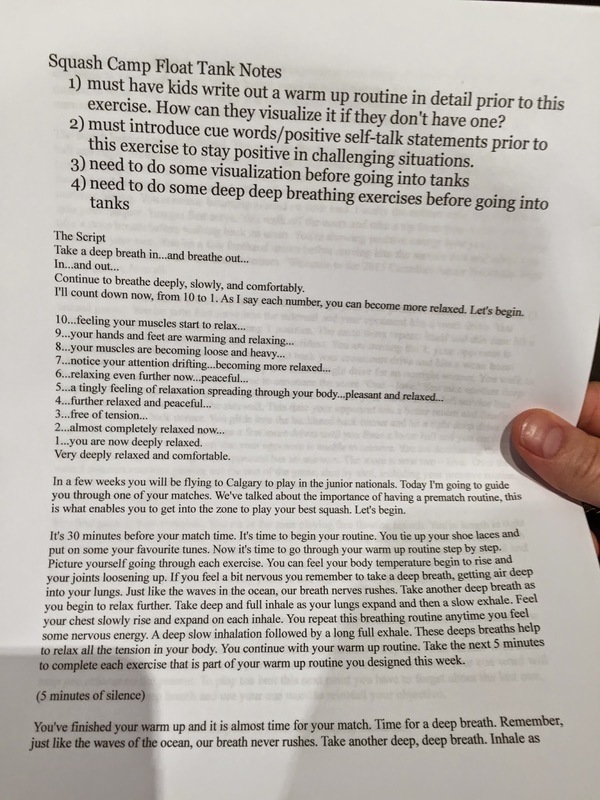 The entire script was about 50 minutes including the silent parts for visualizing their responses. The age range was from 12 - 17. In total 10 kids floated and 1 had floated previously. 1 of them got salt water in their eyes and said he spent most of his time showering. The good thing about having them in their own rooms, was that if 1 of the kids didn't have the concentration to spend an hour trying imagery they wouldn't ruin it for the rest of the group. This is likely why the remainder of the kids said they enjoyed it and would like to do it again. The Floathouse had the audio on file for the kids to use if the want to try it again. I can also send them the audio track directly so they can listen to it on the plane or anytime they wish leading up to nationals. For many of the kids it was their first experience with imagery and a float tank. This was an interesting experience for me and one that I feel has great potential for all athletes. Like any skill we need to practice imagery to improve. When we combine it with a relaxing experience such as a float we also allow our bodies to recover from our hard physical training. Many of us train our bodies and neglect our mind. But if you want to be a champion, it's the mind that will set you apart.